NY: GAG Charitable Corporation, 1981. 522 clean, unmarked pages; red c w/gilt titles; slipcase is Good, with some bumping of edges. 1st. Hardcover. Near Fine/No Jacket as Issued. 8 vo. NY: Atheneum, 1963. First American Edition;n dj w/moderate chipping, unclipped price; owner's plate; 312 clean, unmarked pages. 1st. Hardcover. Very Good/Very Good. Illus. by B/W Photos. 8 vo. Paris, New York: Editions Pierre Tisne; Universe Books, 1956. First Edition, First Printing; dj w/some chipping, unclipped price, in mylar; ownr's name; 129 clean, unmarked pages: An important monograph on Georges Braque published by Tisné, richly illustrated. (Text in French). . 1st. Hardcover. Very Good/Very Good. Illus. by 12 illustrations plus 136 plates (including 36 tipped-in colour plates). folio. NY: Sheridan House, 1944. 1st priinting; green c w/some sunning; illustrated end papers; 253 clean, unmarked pages. 1st. Hardcover. Very Good/No Jacket. Illus. by Richard A. Loederer & Kurt Werth. 4 vo. 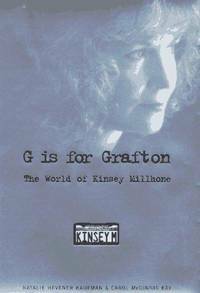 NY: Henry Holt & Company, 1997. 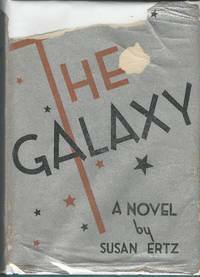 First Edition, First Printing; dj w/unclipped price; 354 clean, unmarked pages/index. 1st. Hardcover. Near Fine/Near Fine. 8 vo. London: Rich and Cowan, 1955. 1st British printing; dj w/lite wear, unclipped price, in mylar; 224 clean, unmarked pages. 1st. Hardcover. Very Good/Very Good. 12 vo. Philadelphia, PA: David McKay Co, 1954. 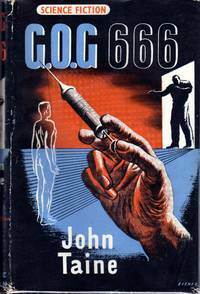 First Edition, First Printing; dj w/chipping, unclipped price; ownr's insc; 304 clean, unmarked pages. 1st. Hardcover. Very Good/Very Good. Illus. by B/W Illus. 8 vo. NY: Bonanza Books, 1963. 4th Printing; dj w/chipping, small tears,; map on end papers; 244 clean, unmarked pages/index. Hardcover. Very Good/Very Good. Illus. by B/W Illus. 4 vo. Garden City , NY: Blue Ribbon Books, 1945. tan pictorial boards; unpaginated, clean, unmarked. Hardcover. Very Good/No Jacket. Illus. by Cartoons. 8 vo. NY: Grosset & Dunlap, 1939. dj w/moderate wear, closed tear at fold, clipped price; gold c w/black titles; 218 clean, unmarked pages, no ads; illustrated end papers; owner's stamp. 1st. Hardcover. Very Good/Very Good. Illus. by Paul Laune. 12 Vo. NY: Stein and Day, 1975. 319 clean, unmarked pages/index; dj in mylar (unclipped); . Story of the cultural and religious capital of northern Spain which was reduced to rubble, 4/26/37, by the German Air Force sent by Hitler to support Franco's bid for power. 1st. Hardcover. Very Good/Very Good. Illus. by b&w photo Illus. 8 Vo; 2 Pounds. Gerrards Cross : Colin Smythe, 1978. 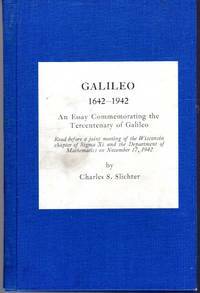 First Edition, First Printing; 186 clean, unmarked pages/bibliography. 1st. Hardcover. Near Fine/Very Good. 8vo. NY: Shapiro music Publishers, 1911. 6 pages; lite wear; small closed marginal tears, cover detached. Paperback. Very Good. Illus. 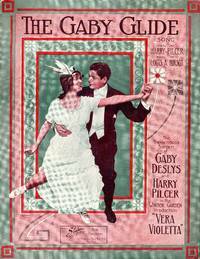 by Pictorial Cover w/photo of Gaby Deslys & Harry Pilcher Dancing in the winder garden Production of "Vera Viletta". 4to. London: Greenberg Publisher, 1940. dj in mylar; price clipped; 498 pages; no date given (circa 1940).. 1st. Hardcover. Very Good/Very Good. Illus. by b/w Illus. 8 Vo; 2 Pounds. Gaithersburg, MD: City of Gaithersbury, 1978. First Edition, First Printing; 431 clean, unmarked pages/index; maps on end papers; maroon c w/gilt titles. 1st. Hardcover. Near Fine/No Jacket as Issued. Illus. by B/w. 8 vo. NY: D. Appleton & Co, 1929. 2nd Printing; blue c w/gilt titles; dj w/tears, chipping, some paper lossn, unclipped price, in mylar...A novel set in London in the years 1860's-1920's. . 1st. Hardcover. Very Good/Good. 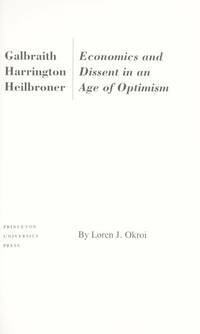 12 vo ..
Princeton, N.J: Princeton University Press, 1988. 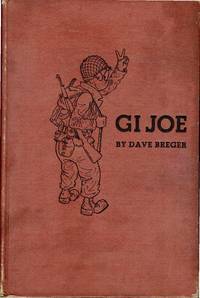 First Edition, First Printing; 275 clean, unmarked pages/index;bibliography. 1st. Hardcover. Near Fine/Near Fine. 8 vo. NY: Doubleday & Co, 1953. early, not 1st printing; dj w/unclipped price; 307 clean, unmarked pages. 1st. Hardcover. Very Good/Very Good. 8 vo. Madison, WI: American Scientist , 1942. blue c w/paper labels; author's bookplate; reprinted from the American Scientist; author's bookplate 22. clean, unmarked pages. Hardcover. Very Good/No Jacket as Issued. 8 vo. NY: Doubleday & Company, 1957. dj w/clipped price; ez-library; 320 clan pages. Hardcover. Very Good/Very Good. 8 vo.